These creatures are half human, half robot. They have dragon wings and always have a puddle of blood under them. The left hand is a metal claw and right is a normal human hand. 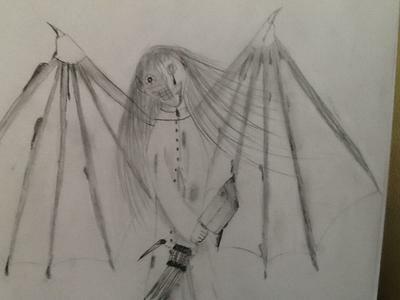 These creepy creatures have blood dripping off their wings, eyes and mouth. They are invisible in the day and only partly transparent at night. They are usually created when a spirit takes over a robot.